Unwind in the lovely parks and gardens of Sydney! Spending your vacation in the tranquil green oases of this vibrant city with your loved ones is definitely a moment to remember. Being one with nature even for a while will surely give you peace of mind and happiness. If you pick Sydney for your next vacation, be sure to get ready for a one-of-a-kind journey. Plenty of amazing activities and sights are waiting for you in this charming city. A word to the wise, public transportation is not perfect in this city, so book a car rental before your arrival. Check out established car rental companies in Sydney to look for the best car that suits your budget. 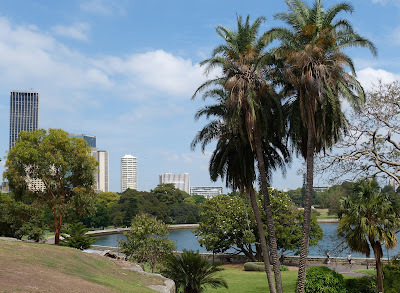 Take a stroll at Australia’s oldest park, Hyde Park. It is one of the most popular parks in Sydney, which contains approximately 580 trees. Also, this beautiful park is home to tons of huge, leafy trees that give visitors a cool shade. You can simply sit back and relax as there are plenty of benches here. Walk through the unspoiled gardens and vast boardwalks of Paddington Reservoir Gardens. Noted for its exceptional mix of modern and historic fixtures, it became an award-winning venue in Sydney and a state heritage-listed public space. It has also been a significant source of water since the 19th century. Simply enjoy the view of its vibrant graffiti art as well as fascinating sunken garden and you will appreciate the garden even more. There is more than just the tall brick chimneys, which Sydney Park is known for. This open space is composed of scenic wetlands, landscaped gardens, lush grass, rolling hills, and wide boardwalks. You will surely have a great time spending a day with your family or friends here while enjoying picnics or simply viewing the picturesque scenery. Visit the oldest botanic garden and scientific institution in Australia today! The Royal Botanic Garden Sydney is a major botanical garden that is home to exceptional collection of plants from across the globe. All nature lovers will absolutely love this garden as well for it offers breathtaking views, wildlife, and world-class horticultural space. Another famous green space in Sydney is the Centennial Parklands. It encompasses three urban parks, namely Centennial Park, Moore Park, and Queen Park. These three are listed on the State Heritage Register of NSW. Moreover, the entire park takes pride in its stunning flower beds, wildlife, statues, and ponds. Every nature lover out there will enjoy having a tour around these marvellous parks and gardens in Sydney. Make it a point to visit any of these when you are travelling in this magnificent city and have a peaceful and worthwhile day. Always keep in mind that it is never a waste of time spending your vacation with nature. So, add these parks and gardens in your itinerary and make the most out of your break!